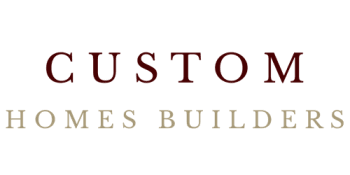 Since 1960, Custom Homes Builders has been serving the San Francisco Bay area as the region's most trusted California custom home builder. Building on a rich tradition of honesty, integrity and the ultimate in attention to detail, our company has taken the standard new home building contractor services to a whole new level. We pride ourselves on our ability to exceed our clients' expectations with every job, whether they seek a family room addition, want to remodel kitchen areas or even want a brand new home built from the ground up. If you're considering having your own custom home built or would like to investigate options for a home improvement addition, we hope you consider getting in touch with our professionals today. In the meantime, please take a few moments to explore our site for company information, a gallery of our work, detailed testimonials and much more!
" Rolando is an old world artisan". Everything he does, from cutting and fitting moldings to thework involved in the finishing touches...his workmanship is beyond compare. And he respects my ideas, like how I wanted slotted screws used on the cabinets. I have an old craftsman farm house that's never been workd on by anyone except by Rolando. He thinks way ahead of the game- he always anticipates what we are going to do next. I have known Rolando for 20 years. He's worked several difficult jobs on my property, from mangled retaining walls, to wrap around decks, resolving a major dry-rot problem in my garage. He's unique in that he's always on the job with his crew, He's extremely dependable, and he does a superb job." " I won't have anybody else do work for me, it's that simple. He's very professional, and top quality craftman. He did a second story addition for me, a kitchen remodel on another home, and many other projects. In the long run, he's the most inexpensive; simply, because you don't have any callbacks. He is one of those people that does what he says he's going to do; he's honest to a fault."